"Provide road worthy fleet to operations for the provision of reliable services to commuter"
We are recruiting our workers (drivers, technician, etc) through a comprehensive testing and observation process. During the testing/observation, our experts observed the candidates keenly both practically and theoretically. After the initial selection, candidates are given 15 days practical and theoretical training (on/off the field) for final selection. Finally the successful candidates in final test/medical might be the employee of the company. Through our highly advance techograph system we observed the driver's driving on the routes on every arrival of the bus at its destination. Drivers are bound to drive the buses as per the rules and regulations (i.e. specified speed limit, specified stopovers and etc) of the company. During observation violated drivers are recommended for further refresher course and also warned/penalized as per nature of the violation. Through the critical observation on workers through the different modes of checking instruments, management arranging time to time refresher courses to overcome these negligence while execution of duties. In order to maintain the buses as road worthy all the time, our technical teams are always high alert to meet any abnormality. For this purpose we have 18 site workshops & 4 mobile workshops fully equipped with latest tool are working. 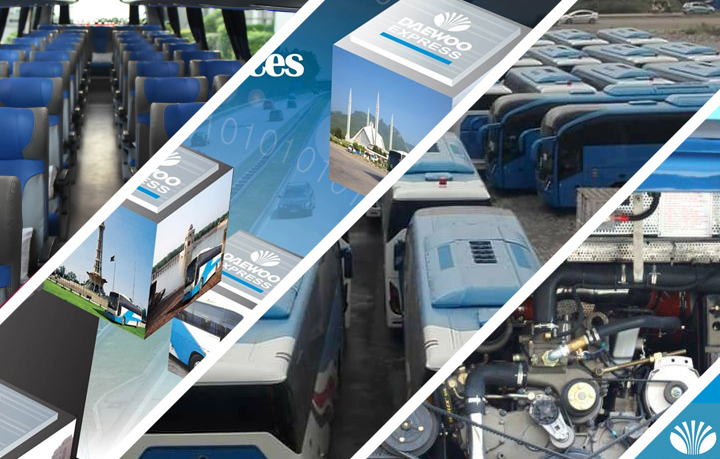 To meet the fitness requirement of the buses we practicing the maintenance rules recommended by the manufacture and also categorized some maintenance types. General maintenance includes the pre departure and after arrival inspections. Generally two types of work "Pit Inspection & Wash Service" carried out in this maintenance. On every arrival of buses pit inspection carried out by the foreman/incharge. During the inspection Engine noise, oil levels, water, brake system, tyres, A/V system and also rectified the defects mentioned on crew comment (C C) paper. After carrying the pit inspection bus washed and cleaned thoroughly (interior/exterior) and ready for departure. During this maintenance we give special attention towards the regular replace parts e.g. Engine oil & filters, steering oil & filter, gear oil, brake lining, audio/video system, A/C, radiator coolant and passenger's facility setup etc. Further more on quarterly basis we are carrying docking service of buses. In this service we check engine, chassis, bus interior and exterior body condition etc. We are using genuine parts all the time to ensure the safety and comfort of our valued passenger.